There’s nothing quite like the flavors of Summertime – lemon, orange, lime. But during the heat of the Summer, no one wants to heat up the kitchen to make dessert. These Key Lime Cheesecake Trifles go together in minutes, are no bake, and have a delicious lime flavor. 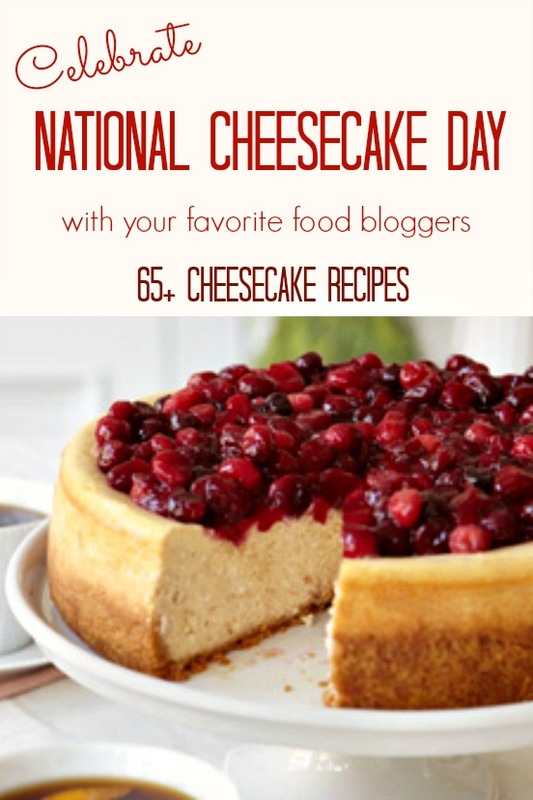 What better way to celebrate National Cheesecake Day? Serving an impressive looking dessert that takes minutes to make is exactly what I love. And when it comes to serving guests or creating a delicious dessert for my family, I love to serve in individual containers. This recipe for Key Lime Cheesecake Trifles has very simple ingredients, starting with a similar recipe that I have shared several times before, Cotton Candy No Bake Cheesecakes, Lemon Berry Cheesecakes, Cheesecake Trifles, Caramel Pecan Cheesecake Trifles, and Cheesecake Trifles: Dessert in a Jar. As you can see, with just one recipe, you can make several different variations. As I’ve mentioned, Trifle Desserts are so easy yet impressive. They can be served in a large clear glass bowl, or small individual servings. 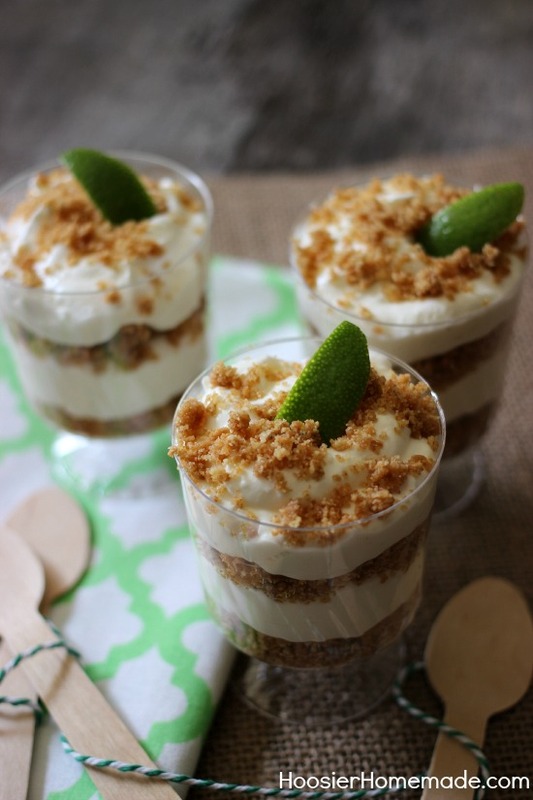 These footed containers are plastic and the perfect size for these luscious Key Lime Cheesecake Trifles. After whipping together the Cream Cheese, Cool Whip Whipped Topping, Sugar and Lime Juice, it gets layered with a Graham Cracker and Butter mixture. A couple of layers in the containers, and a small piece of lime for garnish. Crush graham crackers. Melt butter and stir into graham cracker crumbs until combined. Add Cheesecake mixture to a resealable bag and squeeze about 2 tablespoons into the container. Repeat layers of graham cracker mixture and cheesecake. Top with a sprinkle of graham cracker mixture. Servings will depend on how large your container is. Any size will work. This cheesecake recipe is fantastic! I love the bright citrus flavor. Thank you so much for including me! love these key lime cheesecake trifles!!! the best!!! This is definitely the ultimate summertime treat. Between the key lime (one of my FAVS!) and it being no-bake, it’s a total WIN! Love a little dessert like this, perfect for a summer dinner party. So pretty and impressive to serve!! I love making triffles and yours are just perfect for summer! Love the key lime flavor! Thanks for sharing and for joining us Liz! Thanks for stopping by Roxana! And thanks for inviting me to Cheesecake Day! Thanks for stopping by Heather! I’m a big fan of layered desserts too! 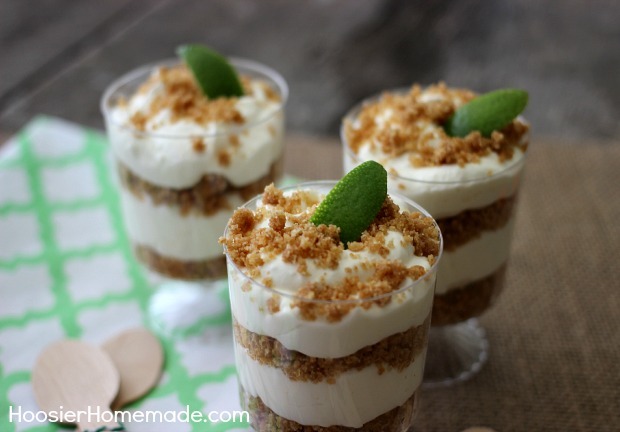 I am a huge fan of Key lime desserts and your trifles look like another MUST try recipe!!! Love trifles! That little bit of crunch in every bite is addictive, but the addition of key lime makes them irresistible! Trifles are one of my favorite kinds of desserts, and they are always so pretty to look at! Gimme one filled with cheesecake and I’m yours – YUM! Thanks for stopping by Shaina! I’m a huge fan of Trifles too! Love your individual trifles! They look so lite and delicious!